Your business represents a substantial investment of your ideas, time, and money (in addition to your sweat and elbow grease). Because your business faces a variety of risks and perils (e.g., property damage, theft, personal injury claims, and natural disasters), you'll want to protect your investment. You can do this with various types of business insurance. You may also want to attract and retain employees by providing insurance protection for them. Here are some reasons to insure your business. Property and casualty insurance protects against the loss, damage, or theft of physical assets such as buildings, equipment, and business personal property. The loss or damage of business assets could result in an interruption of the business process and maybe even a complete shutdown. The right combination of insurance coverage can mean the difference between a temporary shutdown while you repair or replace the losses and the permanent closure of your business. For example, assume that a hurricane or tornado damages your business's main building and contents. Without insurance coverage, you could be out of business and possibly even personally responsible for any outstanding loans, leases, or contracts. However, if you carried property and casualty insurance on the building, your business could recover the cost of repairing or rebuilding the facility. Insurance coverage on the business's equipment would also provide funds to repair or replace damaged machinery. And business interruption insurance coverage would reimburse the costs of operating from a temporary location. Through contact with the public and through personal injuries suffered on your business premises, your company could face liability claims and lawsuits. For example, retail outlets can be found liable if a customer is injured on the premises, and manufacturing firms can be found liable if a product is defective and injures someone. Service businesses can be found liable for providing improper care or advice. Liability insurance can provide the funds to settle liability claims, sparing your business (or your own bank account) the expense. Liability coverage may also include legal representation in the event of a lawsuit. 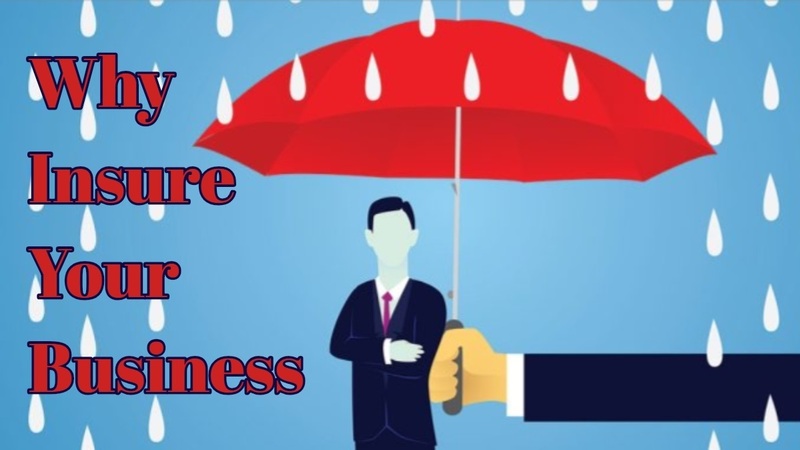 Your business can protect itself against the loss of human assets, such as the loss of services of key employees due to death or disability, through the use of company-owned life and disability insurance coverage on key personnel and co-owners. If a covered owner or employee dies or becomes disabled, the policy provides payments to cover the loss of income generated by that person. Funds provided by the policy can help your business continue operations and remain competitive while a replacement is found. Business owners can also use life or disability insurance to provide funds for the purchase of an owner's interest under a buy-sell agreement after the disability or death of the owner. Insurance can be used to help your business attract and retain quality employees. Group coverage such as life, health, disability, and long-term care insurance can be offered as part of your company's employee benefits package. In addition to salary, employees often seek benefits that will help them to improve their quality of life outside the workplace. By offering group insurance coverage as part of your company's benefits package, you may be able to attract and retain employees who might otherwise be hired by your competitors. Businesses are specifically excluded from coverage under a homeowners policy. If you're involved in a business activity in your home, your homeowners policy will not cover you for liability or medical payments due other persons, even if the damage or injury occurred in your home. This means that your policy will not reimburse you for medical care required by a client who falls off his chair in your home office when you tell him how much tax he owes. Other structures located on your premises that are used for business purposes are also excluded under your homeowners policy. For example, if you sell furniture and crafts out of your barn, and your barn burns to the ground, your homeowners policy won't cover the cost of rebuilding the barn because it was used by your business. It won't cover the replacement of your merchandise, either. Unless you have extremely large cash reserves to cover potential losses, you probably can't afford to leave yourself unprotected. There may be a legal reason for your business to carry insurance. All U.S. states and the District of Columbia have workers' compensation laws designed to protect employed individuals who get sick, injured, or killed on the job. Each state has its own workers' compensation system and requirements. Depending on the size of your business, the industry in which it operates, and the state where your business operates, you may be required to carry workers' compensation insurance. Depending on the state, coverage is available through a state fund or private insurer. Make sure that you consult a qualified advisor who is experienced with the workers' compensation rules in your state. Some states require disability insurance coverage for employees. In addition, some states require professional liability insurance (malpractice insurance) as a condition of licensing in the state. Check the rules of your state and consult an insurance advisor. Failure to carry legally required coverage may be punishable by fines, civil penalties, criminal penalties, exclusion from public contracts, and cease and desist orders. The rules and penalties vary by state. If you rent or lease your business facility, the contract with your landlord probably requires that your business carry its own insurance on the premises. The building owner's insurance will generally cover certain repairs to the facility, but it won't repair or replace your business's property, nor will it provide liability coverage to you or your business. Your business will need its own insurance for such protection. If you or your business borrowed money to finance buildings, equipment, or operations, the loan agreement probably includes an insurance requirement. Equipment lease contracts also contain a provision requiring the lessee (you) to carry insurance against damages to the leased property. Check all rental, lease, and loan agreements carefully, and make sure that your business is properly insured under the terms of the agreements.